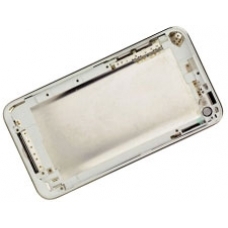 Original Apple chrome rear case for the iPod Touch 4th generation. If you have damaged the rear case in any way, perhaps from a home repair, or just feel like having a new one, this is the ideal replacement rear case part for you. * With White Inner Chassis.